Modern Talking - Dieter & Thomas. . Wallpaper and background images in the Modern Talking club tagged: modern talking thomas anders dieter bohlen promo pictures albums. 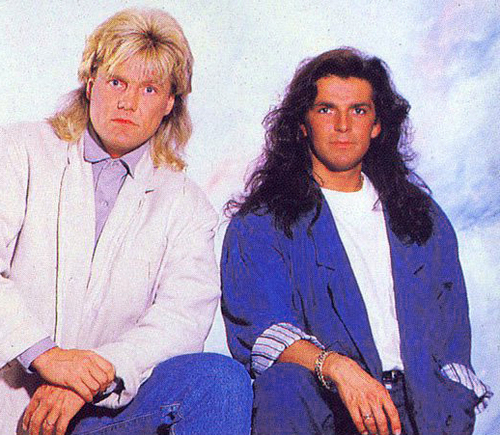 This Modern Talking photo might contain ben vestito persona, vestito, vestito di pantaloni, tailleur pantalone, pantaloni tuta, tuta, and persona ben vestita.